In order to develop meaningful solutions to today’s most complex global concerns, it is imperative that leaders from the public, private, and civil sectors collaborate. These cross-sector collaborations have the potential to optimize diverse skills, knowledge, and resources, and lead people to discover innovative approaches that simply help the world work better. However, leaders in these sectors do not have a good track record for working together, and have typically operated in silos. Cultural norms, communication barriers, missteps, or egocentric intentions have left sector leaders with biased assumptions about each other, so much so that even the word collaboration as a construct has lost much of its meaning. Even leaders with the best of intentions and project know-how have not always been successful at converting plans into involvement, innovation, and impact. The missing piece is Collaborative Intelligence (CI). In order to truly create shared value that results in ongoing collective action, each leader needs to develop their CI. Higher CI among leaders working together creates better chances of creating adaptive remedies to societal hurdles and building powerful, positive momentum for additional ingenuity to follow, and a collective wisdom to result in impact. CI is comprised of the following characteristics: 1) relational intelligence (interpersonal competencies), 2) possibilities intelligence (exploration capacity), 3) learning intelligence (growth mindset), and 4) inter-connected intelligence (interdependency processing). CI is grounded in an individually defined purpose that lives in synergy with a central and over-arching shared purpose of the collaborative engagement. In order to develop meaningful initiatives that solve today’s most complex global problems, social and/or environmental, leaders from the different sectors of society need to work together. Each, alone, cannot solve the world’s most intractable problems. However, well-documented attempts at building large-scale initiatives among multiple stakeholders have been known to produce a lot of talk with very little follow-through and action. To one extent, the public, private, and civil sectors have historically operated with separate agendas, and in many cases have been adversarial, with each sector keeping a distance from one to the next and further reinforcing the silos. To another extent, even leaders with the best of intentions have been frustrated by complications and missteps due to inadequate guidance and processes to manage cross-sector collaborative initiatives effectively. Consultants have recently developed better tactical frameworks and best practices to impart on leaders working in cross-collaborative engagements. Basic protocol includes establishing a common agenda, an approach to tracking progress, and communication standards. Berger (2015) proposes a sixteen-step process in the Collaborative Learning Loop to tactically launch an initiative and move a project through completion. These endeavors aim to improve the odds of success in the creation of shared value and collective impact. Shared value is best described as the intersection between economic drivers and societal drivers that improve society and the environment, while simultaneously enhancing the longevity of organizations (Porter & Kramer, 2011), non-profit and for-profit, alike. Collective impact is described as the productive and successful outcome of long-term engagements among leaders from different sectors, who have an interest in building shared value and solving a specific social problem (Kania & Kramer, 2011). And yet, there is something else missing which is a necessary component in producing greater long-term succes: Collaborative Intelligence (CI). Despite the attention given to guiding multi-stakeholder engagements, the mechanics for cross-sector collaboration are not ripe for success without certain essential leadership qualities embedded in the leaders sitting around the table. The reality is that most people have not received instruction on collaboration throughout their formative years. Mostly, people have grown up in an individualistic education model – sit at individual desks, do individual work, create individually, individually research and report for an individual project, take exams individually, write individual stories, analyze individually, produce solutions individually, and solve problems individually. It is no wonder that many individuals in society today prioritize personal gain over shared value. Apart from a team-based experience – which still is largely driven through a top-down leadership structure (e.g. participating on sports team with a coach or music/art ensemble with a conductor or choreographer), individuals are sent forth to collaborate with very little instruction. They have not been taught how to manage a project across diverse players and build synergies that honor different perspectives, styles, experiences, and expertise-driven peer-to-peer engagement. It has been falsely presumed that collaboration is intuitive, that people know how to get along, work in a productive collaborative, project manage, delegate, lead, follow, share, contextualize, learn, empower, time manage, conflict manage, co-create, and succeed together, as equals and as peers. We know from the prolific attention on leadership development that great organizational leaders emerge from a hard work, experience, self-reflection, personal growth, on-going learning, knowledge sharing, humility, honesty and authenticity. It stands to reason that collaborative leadership does not occur serendipitously either. Furthermore, even a seemingly competent command-and-control leader at the helm of an organization may not have the requisite competence for adeptly navigating in a cross-sector collaborative. Take one example: the widely documented attempt in New Jersey to reform a failing education system. Well-known leaders met and prepared a detailed plan to revive the educational model. However, they missed the crucial opportunity to engage the very community that they were serving. They built the plan top-down and failed to foster a shared goal that would result in buy-in and a more effective and engaging process for their constituents. “It is important to view community members as producers of outcomes, not just as recipients of outcomes” (Baker & Schmitz, 2016, p.7, “factors of engagement”). Therefore, it has become essential that individual leaders develop the mutually reinforcing competencies that make up collaborative intelligence and strengthen their collaboration efficacy. As a result, individuals will have greater capacity to work with other champions of change toward a collective impact. A bridge to greater leadership efficacy in cross-sector collaborations needs to be built. However, unlike a bridge that is built to stand firm, strong, unyielding, this bridge needs to be grounded in humility, flexibility and innovation to withstand the rapidly changing forces of societal needs in this brave new world. This bridge is, in fact, collaborative intelligence – the interwoven development of interpersonal skills, an exploration orientation, a learning mindset, and the lens of contextual inter-dependency. Collaborative leadership is defined by Ibarra & Hansen (2013) as “the capacity to engage people and groups outside one’s formal control and inspire them to work toward common goals, despite differences in convictions, cultural values, and operating norms” (p. 10). In short, to engender a thriving world, individuals need to work on the competencies that form collaborative intelligence. In particular, developing the competencies that generate more effective collaborative leadership – especially when the stakes are high, gives way to greater probability of collective impact in helping the world work better. Excellence in collaborative leadership requires ongoing effort, discipline, and training and it is critically dependent on the development of one’s CI. As Giles (2016) aptly points out, acquiring the right leadership competencies for collaboration often goes against human nature; for one, the skills are different than those in a more traditional, linear and structured approach. Traditional styles of leadership – even the most affiliative, position a leader in an overseeing, top-down role and at the helm. However, a collaborative initiative requires peer-to-peer leadership and deference to unique and expert qualities that each leader brings to the dialogue. Abele (2011) rightly articulates that, “it’s more critical than ever to understand the complex soft elements, such as emotional intelligence, that are the makings of a strong collaborative culture. Many people go through the motions, but few know how to really collaborate. I am often struck by the behaviors of otherwise bright people who poison potentially rich collaborations, seemingly without realizing it” (“Is it Tools,” para. 2). Therefore, this CI model spotlights the soft-skills necessary for a leader to embody in order to be more successful in cross-sector collaboration engagements. CI is based on the inter-woven advancement of five subject areas, herein called the intelligences: 1) purpose intelligence, 2) relational intelligence (the interpersonal), 3) possibilities intelligence (exploration), 4) learning intelligence (growth mindset), and 5) inter-connected intelligence (interdependency of things). (See Figure 1. 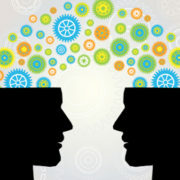 Collaborative Intelligence.) Each of these, in its own right, is a significant focus in literature. Developing a collective mindset to integrate all the competencies in unison is a critically missing component in multi-stakeholder partnership engagements. These competencies are not mutually exclusive or linear in development; rather, they are mutually reinforcing and work in tandem. Higher CI comes from the passionate commitment to continuously pursue them all in an integrated fashion. There is no firmer grounding in navigating life’s complexities than a rock-solid, clear-minded sense of higher purpose. Without living a life of purpose, one drifts aimlessly and is prey to temptations that can easily veer someone off-track from his/her higher intentions. Leaders become vulnerable to narcissism and ego-driven action. Instead, collaborative intelligence starts growing when an individual is connected to a well-founded understanding and strengthening of one’s sense of purpose. Such purpose development is authentic and noble, and the result is likened to an ever-guiding north star, “giving direction when the path ahead is hazy, humility when arrogance announces false victory, and inspiration when the outlook seems bleak” (Kaipa, 2012). Furthermore, such purpose drives values, and then values drive vision, which serves to reinforce purpose. As a result, with a clear sense of purpose, values, vision and mission, decision-making is streamlined and consistent, making all work focused. A leader with a strong sense of purpose is distinguished from other leaders by the equal application of mindset and experience (Lovegrove & Thomas, 2013), which incorporates a higher commitment to service and contribution to society. Having this ethic of contribution becomes the foundation of shared purpose among like-minded individuals who see their role as leaders beyond just their organizational structures, to include a broader tie to society as a whole. Such a shared purpose is the bedrock of trust and unity in a group, and the ethic of contribution is highly regarded, honored and pursued across all the individuals (Adler et al., 2013). With shared purpose, energy is focused, shared value is established, and the collective vision has a greater likelihood of crystallizing intent into action (Senge et al. 2005), and then translating action into meaningful collective impact. And, these shared purpose models “have created new links between business innovation and social development… Companies and NGOs are increasingly going into business together, pursuing scale and profits, social equity, and empowerment as part of an integrated value chain” (Brugmann & Prahalad, 2007, p. 84). Furthermore, a strong sense of purpose is deeply intertwined with authenticity. George (2003) provides a framework for authentic leadership, and believes that leaders are defined by their values and character, which form from a strong sense of higher purpose. Gaining a genuine awareness for one’s true passions and motivations illuminates the path to the work and activities that have intrinsically authentic worth (George, 2003). A vital part of being an authentic leader is the integration of one’s life and work, such that the character of the person is consistent in both work and personal activities (George, 2003). Adjectives used to describe authentic leaders include: genuine, truthful, trustworthy, reliable, consistent, honest, optimistic, confident, energetic, ethical, moral, balanced, transparent, positive, courageous, resilient, fair-minded, competent, humble, and inspiring (Berger, 2013). These are the same traits needed to build trust among the stakeholders engaged in cross-sector collaboration. In 1995, Goleman shattered a barrier between business community norms and the knowledge/research contained in the psychology-academic worlds by introducing into mainstream conversations the concept of emotional intelligence (EQ). Goleman brought the importance of inter/intra-personal relations into the forefront of organizational leadership. In particular, he put a spotlight on individual awareness development when he made the seminal point that EQ is more important to a leader’s success than IQ (Goleman, 1995). In short, garnering EQ is predicated on five individual competencies: 1) self-awareness, the ability to recognize your drivers, mood, emotions and the effects they have on others; 2) self-regulation, the ability to control disruptive impulses and suspend judgment and action; 3) motivation, a commitment to pursue goals with energy and perseverance; 4) empathy, a skill in understanding and being sensitive to others’ emotional reactions, and 5) social skills to find common ground and build rapport and networks (Goleman, 1995). Knowing thyself, being true to oneself, and being sensitive to others reinforces trust-building by establishing sincerity and a high level of honesty – the number one ingredient in leadership relationships (Kouzes & Posner, 2006). Social intelligence moves EQ into the next level of relational competencies. Social intelligence (SI) is defined as a leader’s capability to create shared behaviors that positively influence team dynamics (Goleman & Boyatzis, 2008). A leader who has developed a high degree of social intelligence becomes an innate driver of mood contagion – “positive feelings in the people whose cooperation and support [are needed]” (Goleman & Boyatzis, 2008, p. 2). SI is the transition from the intrapersonal competencies, represented in EQ, to interpersonal and relatedness competencies. Goleman and Boyatzis (2003) ground its efficacy in neural scientific evidence, by ascertaining that followers mirror their leaders and social skills can be cultivated in any person who has a willingness to change and grow. SI competency is deeply connected to launching a collaborative endeavor (Ibarra & Hansen, 2013). Lastly, it would be remiss to skim past the indelible role of moral intelligence (MI). This relational competency is based on the degree of passion in a leader to do right and to be morally proactive (Carroll, 2001). In short, MI equates to a moral courage. Leaders who exude strong MI are considerate of all stakeholders, have a strong moral compass that guides their character, are fair-minded and principled in decision-making, and they integrate social solutions with operational excellence (Carroll, 2001). May et al. (2003) assert that “moral courage is the leader’s fortitude to convert moral intentions into actions despite pressure from inside or outside of the organization to do otherwise…Moral resiliency is the ability to positively adapt in the face of adversity or risk” (p. 255-256), and yet continue to honor one’s purpose and values. Developing one’s relational intelligence is akin to a Principle-centered leadership style, which espouses three criteria: 1) exercise self-discipline, 2) work on character and competence, and 3) (going back to the purpose element) dedicate talents and resources to a noble purpose and service to others (Covey, 1992). MI thus exists in circular harmony with purpose intelligence. Zander and Zander (2002) authored the seminal literature on building a frame of possibility in life. Their central premise “suggests transformation happens less by arguing cogently for something new than by generating active, on going practices that shift a culture’s experience of the basis for reality” (Zander & Zander, 2002, p. 4). Expanding possibilities intelligence gives space to explore the outer limits of what can be (Cooperrider & Whitney, 2005). Therefore, possibilities intelligence is developed from an exploration orientation that prompts an individual to suspend rigidity and self-defeating limitations. Exploration is, in fact, non-judgmental and error-free; it is imaginative and liberated from binding conclusions. Zander and Zander (2002) outline specific areas to create possibilities exploration. For example, what they call stepping into the universe of possibilities, they believe orients oneself towards abundance. In so doing, individuals become less controlling, and in fact, take more risks in their thinking, and evidence greater ingenuity in approaching challenges and opportunities. Zander and Zander (2002) point to another concept in raising possibilities intelligence: giving an A, whereby “the A is not an expectation to live up to, but a possibility to live into” (p. 26). Simply, it opens mindset. Zander and Zander’s work dovetails with the concepts presented in positive psychology work, which focuses on the integration of “work, education, insight, love, growth, and play” (Seligman & Csikszentmihalyi, 2000, p. 7). In fact, the role of positive psychology in leadership is closely linked to achieving higher levels of authentic leadership, and the net result for an individual is fuller engagement in the world around them to create a flourishing present moment. From this, possibilities intelligence is vitally grounded in the notion of leading with gratitude (Berger, 2015). Appreciative and grateful, pragmatic, pro-social, humorous, and vulnerable (Berger, 2013), leading with gratitude spurs others to look through a more positive lens. This inspires hope and opportunities, rather than despair and barriers of entry. Indeed, this aspect of collaborative intelligence has an idealistic component; to imagine is to let one’s guard down and dream of possibilities, without limitation. There is also a practical foundation: “gratitude … is an empowering choice that we can make about anything and everything… [but it is about having] conscious gratitude. A lot of new age theory around gratitude keeps us asleep or passive. It has us be grateful for things that actually warrant healthy anger and dissatisfaction — which are great agents for change and justice” (LaPorte, 2015). Significantly, the idealism of possibilities exploration can co-exist with a healthy degree of dissatisfaction to ignite initiative. Humility plays a natural role in maintaining this balance. Appreciative Inquiry is another supportive tool and method for exploration, and can serve as a means for strategic decision-making in a team-based engagement. Appreciative Inquiry creates an action-learning loop whereby individuals working in a collaborative together approach all aspects of the engagement through a 4-step process and change is constructed from a foundation of what is already working well (Cooperrider & Whitney, 2005). Appreciative Inquiry focuses on “the cooperative co-evolutionary search for the best in people, their organizations, and the world around them” (Cooperrider & Whitney, 2005, ch. 2, para.4). Finally, the very simple act of play cannot be underscored enough. Play is known to open one’s imagination and drive creativity, the kind that can produce innovative solutions. Play fosters unencumbered exploration. However, societal norms guided individuals in the not-so-distant past to think that play is reserved for youth and/or leisure time.. Nevertheless, spurred by the dot-com informal and playful entrepreneurial culture, as well as the virtual integration of life and work through technological advancements, play is becoming more recognized as a construct for innovative ideation, and less as meaningless wasted time for a break. Play has the power to unlock people’s perceptions and let their guard down. Brown (2009) notes that the specific play signals alter behaviors, can override differential in power, and allows individuals to explore what is possible. Play provokes physiological changes in individuals, triggered by the neurological stimulation of the right side of the brain where creativity and innovation reside, and in turn, increased exploration and curiosity are generated. Furthermore, people and animals are actually designed to play throughout life and play has been a major conduit for discernment and trust building (Brown, 2009). People with a growth mindset cultivate learning intelligence. They are sponges for new experiences and knowledge that expand their universe and open perspectives daily. “People often believe that you need to know how to do something before you can do it. If this were literally true, there would be little genuine innovation. An alternative view is that the creative process is actually a learning process, and the best we can possibly have at the outset is a hypothesis or tentative idea about what will be required to succeed” (Senge et al., 2005, location 2082-2085). Learning comes from being curious and inquisitive, and in a big way, open to magnificent a-ha’s and/or humbling moments of learning from mistakes. “Mistakes are the natural, impersonal consequence of learning and development and therefore unavoidable” (Hawkins, 2006, p. 27.) In either case, learning with awareness is regenerative. Dewey’s seminal learning cycle was grounded in the principles of observation, discovery, invention and production. Such a learning cycle also includes the notions of sensing (without bias), presencing (immersion in the present), and realizing (detachment from one’s will). In particular, inner wisdom is nurtured through the act of surrender – letting go of the past and releasing the need to control the future (Senge, et al., 2005), and having the courage to be vulnerable is a springboard (Brown, 2010). Otherwise, “an absence of vulnerability yields a feeling of being numb, which robs people of joy, gratitude, and a sense of purpose. When that happens, people become afraid, and then they seek to turn uncertainty into a myopic certainty….” (Brown, as cited in Berger, 2013, p.83). For example, Senge et al. (2005) highlight that, “learning based on the past suffices when the past is a good guide to the future. But it leaves us blind to profound shifts when whole new forces shaping change arise” (location 1201-1214). Kalra (2015) calls for the practice of “what if-ing” to embrace the iterative nature of complex decision-making in times of deep uncertainty. Cultivating a growth mindset that comes with learning intelligence improves an individual’s capacity to constructively handle dissent and conflict, and to work toward common ground. While many individuals shy away from conflict, it is actually a natural by-product of people working together and it is not to be feared. In fact, “conflict is the primary engine of creativity and innovation. People don’t learn by staring into a mirror; people learn by encountering difference. So hand in hand with courage to face reality comes the courage to surface and orchestrate conflicts… Leaders of the future need to have a stomach for conflict and uncertainty…. Leaders of the future need to have an experimental mindset” (Heifetz, as cited in Taylor, 1999, para. 7-8). Embracing conflict as healthy helps any individual(s) to focus on the issues between people – not placing blame and not taking things personally, and helps the individual(s) to find common ground amidst honoring the unique values and motivations that might be driving the conflict (Patterson et al., 2002). The internal changes show up on two levels. First we come to embody a new capacity for action. What once required conscious effort happens effortlessly, almost automatically. We know we’ve learned to walk or ride a bicycle, or write a sonnet when we can produce these outcomes reliably. Just so, organizations can embody new capacities by developing new domains of competence embedded in assumptions and institutional norms. But learning also creates new domains of meaning. It shifts our awareness and understanding. We see the world in new ways. What was invisible to us becomes visible… (Senge et al., 2005, location 2363-2367). An individual’s work to raise his/her consciousness has the distinct possibility of moving oneself away from self-interest – which drives competitiveness, hostility, aggressiveness, selfishness, and stubbornness, and toward a closer state of mutuality – which embodies harmony, concern for others, shared goals, accountability, and being hopeful (Hawkins, 2006). Raising consciousness through mindfulness increases one’s aptitude to be witness to the emerging, dynamic whole (Senge et al., 2005), and deep understanding that we are all continuously morphing, individually and collectively. As one applies the learning principles that support growth of inner wisdom, a person learns agility, an orientation that results in resiliency to change. Increasing one’s agility to the continuous nature of change, itself, has the added effect of embracing an iterative and collective learning process, rather than a deductive one (Berger, 2013). Rosch believes that there are two types of knowledge: the analytical kind – which is the traditional forms of processing information, and the primary knowing – which is an understanding of the relatedness between one and the other, as well as the flowing inter-connectedness of all (Senge et al., 2005). The primary knowing type supports the growth of agility as it draws upon Eastern beliefs of continuous change being the natural order, versus the Western orientation that is more linear, static, controlled. The Eastern orientation is cyclical, dynamic, fluid (Marshak, 2004). It also is aligned with the idea of the living system, a holistic view of organizational development that promotes flexible mindsets, continuous learning, and systems thinking (De Geus, 2002). According to Senge (2006), systems thinking “is a discipline for seeing wholes…It is a framework for seeing inter-relationships rather than things” (p. 68). Systems thinking is strategic, and it builds on the mindfulness of seeing patterns and context of an issue, versus seeing the singularity of events or forces in isolation. An individual who exercises systems thinking builds relationships based on deep listening; s/he fosters a shared understanding by challenging assumptions safely and productively. Such a person is able to see the connection between disparate parts, engage diverse perspectives, nurture others to open up, and pay attention to emerging patterns. This system leader is highly reflective and authentic, such that essential trust grows between individuals to co-create a thriving future (Senge, 2006; Senge, Hamilton & Kania, 2015). The alternative yields single-solution approaches which run the risk of producing superficial results, or worse, the wrong solution to only a fraction of the problem (Benn & Bolton, 2011). Instead, Senge, Hamilton and Kania (2015) advocate for system leaders – people who have the ability to process and contextualize the complexities of a situation and can promote collective leadership to address “the deep changes necessary to accelerate progress against society’s most intractable problems” (p. 27). Senge (2006) firmly believes that systems thinking is a condition for optimal cross-sector collaborative endeavors, as it integrates reason and intuition. Furthermore, systems thinking increases contextual intelligence, the ability to see parallels between the different sectors, translate across them, and find common ground. Individuals who demonstrate contextual intelligence can construct an intellectual thread across the issues and help move past single-sector constraints. They balance competing motives and are continuously acquiring transferrable skills that regenerate this competency. They adeptly shift between advocacy and inquiry, and they are dedicated to building integrated networks from which to pull diverse perspectives and counsel. They maintain a prepared mind and they are willing to deviate from a known path to explore different opportunities from which to learn and grow (Lovegrove & Thomas, 2013), and progress to higher levels of wisdom (Senge et al., 2015). It is not surprising to learn that systems thinking can be difficult. It requires one to suspend his/her unique orientation, which is comprised of mental models (biases and assumption), past experiences, perceptions, cultural norms, upbringing, education and affiliations (Senge et al., 2005). While each individual’s orientation provides unique insight about the world that can form a collective knowledge bank, without balance and openness, each person’s orientation can also be a barrier to seeing the wider system and others’ perspectives. This is akin to not taking oneself too seriously. Finally, while addressing the mechanics of project management is not the focus here, a deliberate process for project management and organizing diverse individuals toward collective action cannot be dismissed or discounted. “Bringing together diverse stakeholders with little history of collaboration, different mental models, and different and even apparently competing aims is a high-risk undertaking. Good intentions are not enough. You need skills” (Senge, Hamilton & Kania,, 2015, p. 30). Many consultants have developed tools to help cross-sector leaders with best practices. One such instrument, for example, is systems mapping, an inquiry-based skill that pushes individuals to construct a new picture of a situation based on exploration and identification of the interdependencies previously not featured. Other tools to deepen conversations, which serve to increase shared-meaning, include peacekeeping circles, dialogue interviews, peer shadowing, and experiential-based learning (Senge, Hamilton & Kania, 2015). Lovegrove and Thomas (2013) recommend formal inter-sector exchange programs, mentorship opportunities, communities of practice, and leadership development that emphasize the construction of shared purpose and a shared initiative culture. Significantly, to shift behavior across people, among the most influential methods are shared hands-on, service-learning experiences. Instead of all-day lectures and presentations by experts and specialists, or connecting with each other as leaders over multiple rounds of golf over days, imagine if a group of leaders did a day of fieldwork and connected to the world in a tangible way. There is no greater mindset shift, learning growth curve, mutual understanding and reinforced commitment than when all individuals directly experience the very issues they aim to serve. Their awareness becomes more acute, their hunger to explore more possibilities of the issue becomes insatiable, their commitment becomes limitless, their agility muscle becomes strong and more innate, and their ability to see interdependencies comes alive. The experience is changes thinking and perspective. In essence, such life-changing experiences are shortcuts to increasing collaborative intelligence. Simply put, as collaborative intelligence grows among leaders from the various sectors, there is more likelihood that collaborative initiatives will create the intended shared value and a collective impact that is greater than the sum of any individual effort. As Senge et al. (2005) surmise, “The leadership of the future will not be provided simply by individuals but by groups…” (Senge et al., 2005, location 2600-2602). Now, more than ever, collaborative intelligence is an imperative to move people past the historic friction, animosity, and different structural approaches that exists between the three sectors, and to create a collective wisdom that can help move the world to work better. Abele, J. (2011). Bringing minds together. Harvard Business Review, 89(7), 86-93. Adler, P., Hecksher, C. & Prusak, L. (2011). Building a collaborative enterprise. Harvard Business Review, 89(7), 94-101. Benn, S. & Bolton, D. (2011). Key concepts in corporate social responsibility. London, U.K.: SAGE Publications Ltd.
Berger, D. (2013). “Doing it the right way” a qualitative study of the development of corporate social responsibility among U.S. fortune 500 global companies. Doctoral dissertation, Pepperdine University, Malibu, CA. Berger, D. (2015). Collaborative learning loop. Retrieved from http://www.denisedberger.com/cll-framework.html. Accessed March 15, 2016. Brugmann, J. & Prahalad, C. (2007). Co-creating business’s new social compact. Harvard Business Review, 85(2), 80-90. Carroll, A. (2001). The moral leader: Essential for successful corporate citizenship. In J. Andriof, & M. McIntosh (Eds. ), Perspectives on corporate citizenship (pp. 139-151). Sheffield, U.K.: Greenleaf Publishing Limited. Covey, S. (2004). The 7 habits of highly effective people (Revised ed.). New York, NY: Free Press. De Geus, A. (2002). The living company (2nd ed.). Boston, MA: Longview Publishing Limited. Goleman, D. (1995). Emotional intelligence. New York, NY, England: Bantam Books, Inc.
Lovegrove, N. & Thomas, M. (2013). Triple-strength leadership. Harvard Business Review, 91(9), 46-56. Marshak, R. (2004). Morphing: The leading edge of organizational change in the twenty-first century. Organizational Development Journal, 22(3), 8-21. Patterson, K., Grenny, J., McMillan, R. & Switzler, A. (2012). Crucial conversations: Tools for talking when the stakes are high. New York: McGraw-Hill. Porter, M. E., & Kramer, M. R. (2011). Creating shared value. Harvard Business Review, 89(1), 62-77. Senge, P., Hamilton, H. & Kania, J. (2015). The dawn of system leadership. Stanford Social Innovation Review, 13(1), 26-33. Waddock, S. (2001). Integrity and mindfulness: Foundations of corporate citizenship. In J. Andriof, & M. McIntosh (Eds. ), Perspectives on corporate citizenship (pp. 26-38). Sheffield, U.K.: Greenleaf Publishing. Zander, R. & Zander, B. (2000). The art of possibility: Transforming professional and personal life. Boston, MA: Harvard Business School Press.